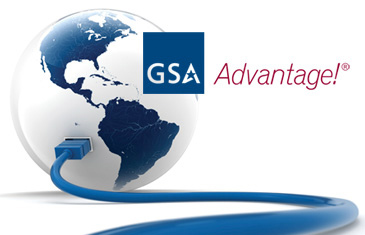 U.S. Chemical Storage is honored to be a partner with GSA Advantage. We are dedicated to serving our Military and we believe that our Federal Agencies deserve the best of the best. U.S. Chemical Storage not only offers the strongest and most dependable chemical storage buildings on the market today, we offer expert advice on all of our products. We walk our clients through the buying process, and all the way through the installation process for all of products. You can be sure when the safety engineer comes to inspect the facility, your chemical storage will be compliant. Our chemical storage buildings offer a fully compliant storage area where your chemical inventory will be maintained and secure. With our design-build chemical storage buildings, we can customize your exact specifications for your unique needs. Our chemical storage buildings are hand-welded from heavy-gauge metal steel for ultimate strength and security. Our customizable chemical storage buildings also feature customizable parts and accessories that are tested after installation to deliver complete dependability when your chemical storage building is delivered. There is no project too small or too large for U.S. Chemical Storage to handle. The highest quality pre-fabricated lithium battery storage buildings on the market today, built from high strength steel for durability and longevity. We offer the highest quality lithium battery storage buildings with the most customizability so you can get exactly what you need without sacrificing safety or convenience. We offer buildings with up to a 4-hour fire rating, with options for 2-hour fire rated and non-fire rated available. 4-hour fire rated partition walls are also available, these partition walls are built to temporarily contain fire and allow you to take measures to extinguish the fire and remove unaffected stock. Our buildings can be equipped with Class D Fire Extinguishers as well as a custom designed fire suppression systems. Manual backup fire extinguishers are also available and housing for them can be installed inside or outside the heavy-duty storage building. U.S. Chemical Storage will build your lithium battery storage building to your exact specifications, we can provide charging stations and any other charging equipment required for lithium battery storage. Lithium battery storage buildings can be built to include battery management modules (BMMs) and mastery battery management modules (MBMMs). Battery management modules are designed to monitor the state of charge, state of health, and other important information such as temperature. Master battery management modules ensure that there is a uniform state of charge throughout all strings, and is able to isolate a specific string to keep the state of charge even. Contact U.S. Chemical Storage to learn more about storing your lithium batteries compliantly. We consider it a privilege to support our military and veterans.